"What I think will happen is that Kerry will win and I think the handicap will be covered. I think Kerry could Hammer them." What are your thoughts on the championship so far? The Championship has not done much for me. Dublin walked through Leinster, Kerry waltzed through Munster, Ulster was weighed in one way making Connaught the most enjoyable but we are at the knock-out stages now. This is when the Championship starts. The Super 8s, a good or a bad idea? I think, they are a good idea, it is not the final answer but it's a step along the way. I think it will lead, eventually, to a two-tier Championship. The League is the best competition we have and the Super 8s is modelled on this. I believe this will be a success. I don't want to see the likes of Monaghan going to Waterford and beating them out the gate. We all want to see the top teams play each other. We can get better games out of the Championship and that's what we have in the Super 8's. The teams at the top always rise, football for me is changing, the defence stuff doesn't scare any teams now. Are Kerry the only other challenge to Dublin? Are Kerry contenders? I think they are; however, I don't think they are proven, they had an iffy National League. People were also disgusted about how they played in the Mayo game last year. This year they have beaten Clare, they have beaten Cork, you could question how strong those sides were. I think Kerry, the style of play has impressed me. They are playing fast flowing football but we must see how they get on in the Super 8s to get a real barometer as to where they are. This weekend they play Galway, we will learn a lot more after this weekend. I am happy enough with what I have seen so far though. Can any team win all three games? I'm not sure they will, it's easier to say Dublin will as they are such a proven side. I think Dublin will get to the All-Ireland final. Kerry and Galway, we will find out about them this weekend. If Kerry win this weekend, then I give them a great chance. There is something about Galway I am not buying into, it seems like they don't trust themselves to commit to attack. Kerry and Galway are pretenders to the crown; we will find out a lot this weekend. Dublin are the only consistently proven team in the Super 8s. I expect Galway and Kerry to go through but Dublin the only side you would be totally confident to win all 3. Whatever way you decide to play, Dublin have an answer for them but is this the same team as two-three years ago? I am not so sure. Who could spring a surprise? To be honest I don't see anyone outside Kerry or Dublin winning the All-Ireland. I don't have any faith in Tyrone, they are too one dimensional. You need to have at least two-three ways to win a match, they do not. They don't have long kicking. They play a running game, that is all. Monaghan have not played anyone in the qualifiers, they seem to play better against bigger teams though. This weekend they face Kildare, who are the story of the Championship, they have forwards who can score, they have an unbelievable work rate, I would not have feared them a month ago, I would have laughed at them but if Kildare win this weekend and Kerry were to lose, then we could have a big surprise. I don't think it will happen, but I could be blinkered. To win an All-Ireland you must have to have the full package. Forwards, Defence, a good goalie. As a cute Kerry man, I will absolutely tip Dublin but I do think that Kerry will give Dublin one hell of a rattle. If Kerry come out with three wins though from the Super 8s, then it is game on but we are a few weeks away from that but it so hard to go against a proven Dublin side, who are 8/11 favourites on the Betfair Sportsbook. The gap is narrowing but maybe not enough for this year. My gut says Dublin but my smarts say Kerry. This will be a very interesting battle, but Roscommon look very open an at the back and if Tyrone zone in on that then Roscommon could be in trouble. I don't believe Roscommon have met a defence like what Tyrone has. If Tyrone hit the ground running, then this is only going to end one way. Tyrone are a seriously organised team but they need to give us something more upfront and I would like to see that at the weekend. I would have to go with Tyrone. Dublin have become a bit of a punters dream regularly covering the handicap, but in fairness who have they played? Donegal have been amazing this year but they haven't played a heavyweight yet either. Donegal are not as defensive this year but I believe Dublin will win and if they knock up a few scores early in the first half I think Dublin will cover the handicap. Dublin at -7 is a good bet, I would say it is safe enough. Donegal are a real threat for anyone but Dublin can poke holes in any team and even though it will be a lot tougher than some think then Dublin will pull away. The hardest game of the weekend to call. Monaghan are a total Jekyll and Hyde team this year, who will show up this weekend? Kildare on the other hand are playing with huge confidence, they are a team bang in form, they are taking a lot more chances than they were in the league and that comes from confidence. As I said, this is a very tough one to call but you would have to just fancy Monaghan. If Kildare get momentum in this game, then it could be where the surprise comes but I would have to lean to Monaghan. You could make arguments for both to win, if this happens, if that happens. What I think will happen is that Kerry will win and I think the handicap will be covered. I think Kerry could Hammer them, that is a real possibility. 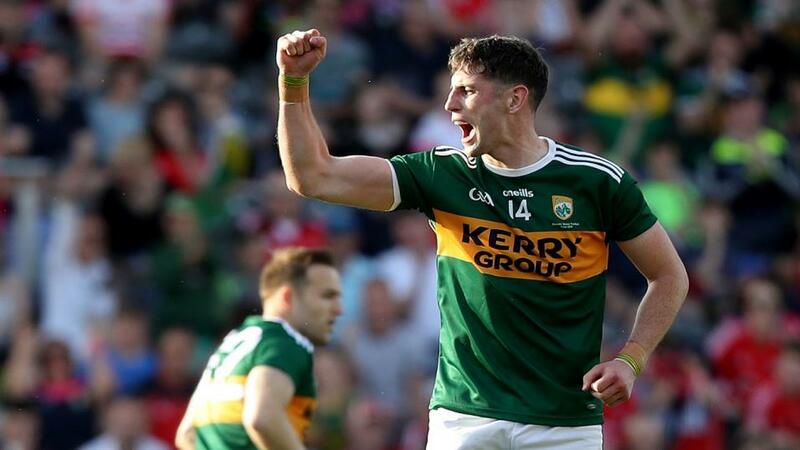 Galway people will be saying wow, but I just think the way Kerry have performed, the style of play, the pace, the directness and they have some of the best young footballers in the country, I must go for Kerry to win and by more than five or six points.